Bitcoin IRA vs. BitIRA Reviewed: Which Digital IRA Is Best? As blockchain technology continues blazing a path toward widespread adoption, many knowledgeable investors are diversifying their retirement savings with cryptocurrency holdings. When setting up a Digital IRA (as such accounts are called), it helps to partner with a specialized company to navigate this process. If you’ve been researching Digital IRAs, you may have encountered two such “giants” in the industry: BitIRA and Bitcoin IRA. Although the latter, Bitcoin IRA, was first to market when it entered the space in 2015, the competitive landscape has changed, and other companies are now offering different approaches to Digital IRAs. BitIRA launched in 2017 and has been making a name for itself as offering security innovations for Digital IRAs never before seen in the industry. For full disclosure, this article is written on behalf of BitIRA. So which Digital IRA partner is best for you? It’s important to consider the following four aspects of Digital IRA service providers when reviewing them. Although Bitcoin and other such coins are called digital currency, they are stored in what is called a cryptocurrency wallet. Just like losing your pocket wallet, if for some reason you lose access to your cryptocurrency wallet, then there is a high chance that you won’t be able to recover your savings. You can see how important it is, then, that the company you choose as your Digital IRA partner has a process in place to protect the hardware that stores your cryptocurrency wealth. Both BitIRA and Bitcoin IRA offer what is called a multi-signature wallet, which ensures that any one person can’t gain access to your crypto wallet. Such a wallet requires that multiple trusted parties (i.e. you and your IRA custodian) enter their digital signatures before accessing your Digital IRA. Review the processes of any Digital IRA service provider to make sure they include this security measure. Another feature to look for in a company is a policy of making sure that multiple customers’ digital wallets are not stored on a common physical device. BitIRA’s solution provides each customer their own unique personal hardware device for added security. Bitcoin IRA prints a customer’s security keys on paper to be stored in several depositories, according to their own publications. As you can see, a core component for fully securing a Digital IRA is decreasing the exposure as much as possible of each customer’s cryptocurrency wealth. This is also achieved through what is called cold storage, which means that your cryptocurrency wallet is offline and not accessible by anyone through the internet, including hackers. Cold storage is becoming an industry standard, and both BitIRA and Bitcoin IRA utilize wallet solutions that store customers’ digital wealth in this way. Both BitIRA and Bitcoin IRA partner with companies that specialize in cryptocurrency wallets. The wallet company that Bitcoin IRA currently partners with is called BitGo, which was famously implicated in the Bitfinex hack of 2016. Some contend that hackers were able to access the multi-signature security keys held by BitGo and Bitfinex, which led to cryptocurrency worth US $72 million (at the time) being stolen. As of June 2018, the value of that currency would be worth US $800 million. When reviewing and choosing a Digital IRA partner, selecting one that has a solid track record of security will reduce the probability of theft, headaches, and complaints in the future. Security isn’t the only consideration when choosing a Digital IRA partner. The way IRAs are designed mandates that they must be managed by a custodian on behalf of the customer (though as the customer, you always have full control over the asset classes in your IRA). Both BitIRA and Bitcoin IRA (at the time of this review) use what are called qualified custodians and not 3rd-party administrators, as used by some other companies. The custodian used by Bitcoin IRA is called Kingdom Trust, which was also first to market in this space. Kingdom Trust is used by most other Digital IRA companies, who are seemingly locked in by inertia to their services. BitIRA was the first Digital IRA company to seek out a different custodian than Kingdom Trust and has chosen Preferred Trust Company, a company specializing in IRA custodianship for over a decade. Much depends on how a Digital IRA service provider and their custodian structure their management of your cryptocurrency assets. All such custodians charge a fee for performing administrative tasks for IRAs, but they can choose to structure their fees in various ways. Kingdom Trust, used by Bitcoin IRA, charges customers a management fee every month and a holding fee tied to account performance. In effect, there is no published cap with Kingdom Trust on how much they charge you every month if your cryptocurrency assets grow (as many experts believe the digital currency market will in coming years). Preferred Trust Company, used by BitIRA, offers a management fee structure more preferential to the customer. Customers are charged an annual fee (not monthly) and fees are not tied to portfolio performance (essentially, this sets a cap on how much the custodian can charge the customer, even if the customer’s cryptocurrency wealth expands greatly). Preferred Trust Company also allows the option for the customer to keep their cryptocurrency upon distribution from their IRA rather than converting it to cash. Whether Bitcoin IRA or Kingdom Trust offer their customers this option is not clear; as of June 11, 2018, it was not specified on either website. BitIRA also has no liquidation fees, so you’re only charged once per cryptocurrency transaction on the front end. As of June 11, 2018, we have not seen Bitcoin IRA specify in any published materials whether they charge customers a fee to liquidate their digital assets. Cryptocurrency is a relatively new innovation, and it has been shown numerous times in recent years that trust is an essential component between customer and currency management company. One of the ways Digital IRA companies (not just BitIRA and Bitcoin IRA, as in this review) exhibit this trust is by their willingness to be compliant with standards and transparent to regulators and their customers. Not all companies in this space meet these expectations. The CryptoCurrency Security Standard (CCSS) is a security standard created by the Cryptocurrency Certification Consortium “that helps secure all information systems that make use of cryptocurrencies” and is a security benchmark in the industry. The process that BitIRA has facilitated to create a Digital IRA is compliant with this standard. As of June 11, 2018, we have not seen any published materials from Bitcoin IRA that specify whether they meet the requirements of this certification. Likewise, as of that date, we have not seen whether or not Bitcoin IRA utilizes an SEC and FINRA regulated cryptocurrency exchange. BitIRA’s exchange is indeed regulated by the SEC and FINRA. BitIRA was the first company in this space to take the proactive step in 2017 of registering with the U.S. Department of Treasury as a Money Services Business (MSB), which shows a commitment of transparency in their practices to both their customers and also to government regulators (who have the ultimate say on how cryptocurrency can be managed in an IRA). Since then, in 2018, Bitcoin IRA has followed suit and registered as an MSB as well. The last major facet to consider in deciding between Bitcoin IRA and BitIRA is insurance coverage. Even if you know your assets are properly secured and managed, prudence dictates that for something as important as a retirement account, you want to protect your savings from unforeseen dangers. The solutions from both Bitcoin IRA and BitIRA offer insurance for your digital currency retirement savings. However, it’s important to note that the insurance from each company do not cover the same things. For cryptocurrency assets, Bitcoin IRA covers consumers on the transactional side from any internal cases of fraud or theft. BitIRA, though, is one of the few companies in the industry that offers “end-to-end insurance” on cryptocurrency assets, which means that everything from theft, fraud, mistakes, to hacking are covered from the transaction phase and through the entire storage stage itself (usually by far the longest step in the Digital IRA process). Bitcoin IRA and BitIRA are both well-known names in the Digital IRA space. This article is written on behalf of BitIRA, but we believe for the reasons listed above that BitIRA’s offerings go a step or more beyond the services of Bitcoin IRA. In the four key aspects considered in this review of Bitcoin IRA and BitIRAsecurity, asset management, compliance/transparency, and insurance—we believe that anyone conducting a dispassionate comparison of the two companies will find that BitIRA offers customer advantages that are unique in the industry. While Bitcoin IRA was first to market, that’s not always an indicator of quality of product. MySpace and Friendster were also first but are now largely relics of the past–everyone knows and uses Facebook. Innovation and customer focus have always been cornerstones of success in any services industry, and the Digital IRA space is no exception. 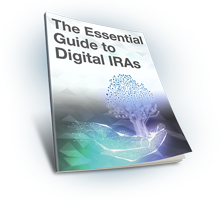 To learn more about BitIRA, review your options, and talk to a Digital Currency IRA Specialist, download this free guide to Digital IRAs today! Disclaimer: BitIRA is not affiliated with Bitcoin IRA in any way. Bitcoin IRA owns all rights to its own name, trademarks, and intellectual property.